4420 Square Feet (411 Square Meter) (491 Square yards) 4 bedroom contemporary home elevation. 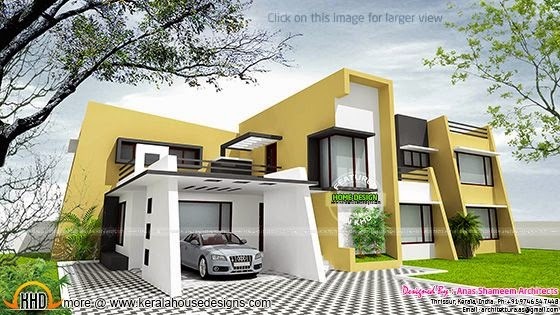 Designed by Ingrid Architects, Thrissur, Kerala. First floor : 1520 Sq. Ft.
Total area : 4420 Sq. Ft.